Charles Chaplin was born in Walworth, London in 1889 to music hall parents, though his alcoholic father was soon to disappear and his mother would increasingly suffer from debilitating mental problems. At the age of five Chaplin took to the stage and within two years enjoyed sufficient success to catch the eye of comedy impresario Fred Karno . 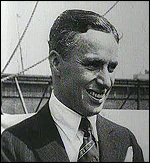 While touring America for Karno in 1912, Chaplin was poached by Mack Sennett and began appearing in films. His apprenticeship with Sennett rapidly turned him into a major comic star and when he left in 1915 Chaplin was already well on the path to cinematic immortality. Chaplin 's impoverished Victorian working working-class roots colour all his Hollywood work and is are perfectly encapsulated in his comic persona of the little tramp, a true icon of world cinema. But by the 1950s, his resentment at the creeping hostility from his host nation over his perceived communist values began to distort his clarity of vision. With his first British feature A King In New York (1957) he turned ferociously on his tormentors, mocking their hypocritical views on freedom. Bitterness is to the fore and the crudeness of his argument is not leavened by enough comic moments. But at least Chaplin retains the balletic grace of the true slapstick clown which his directorial style - proscenium framing of complete routines to emphasise body movement - is designed to showcase. Unfortunately, in his second British comedy, A Countess from Hong Kong (1966), he allows himself only a cameo role and his heavyweight leads ( Marlon Brando , Sophia Loren ) are ill-served by such a rigid style and over-compensate by mugging and frenetic action. The film marked a dispiriting end to Chaplin 's career, but it confirms that it was as the custodian of his own undisputed genius that his talents as a director were best employed. Chaplin was knighted in 1975.